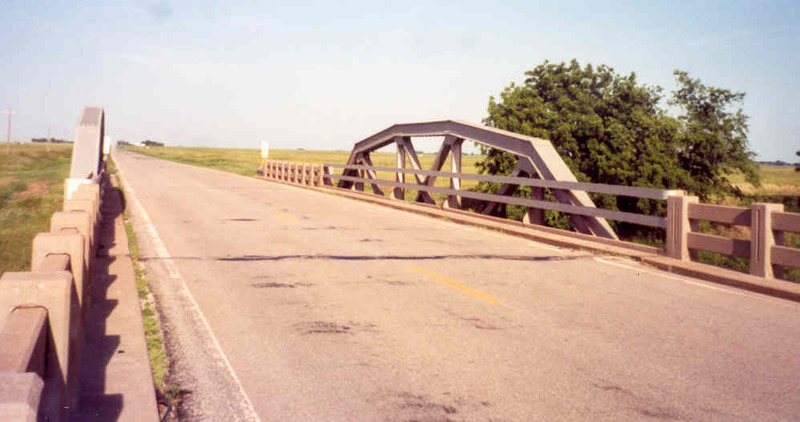 Built in 1946, this 100-foot Parker pony span and steel stringer approaches stand unaltered and in very good condition. 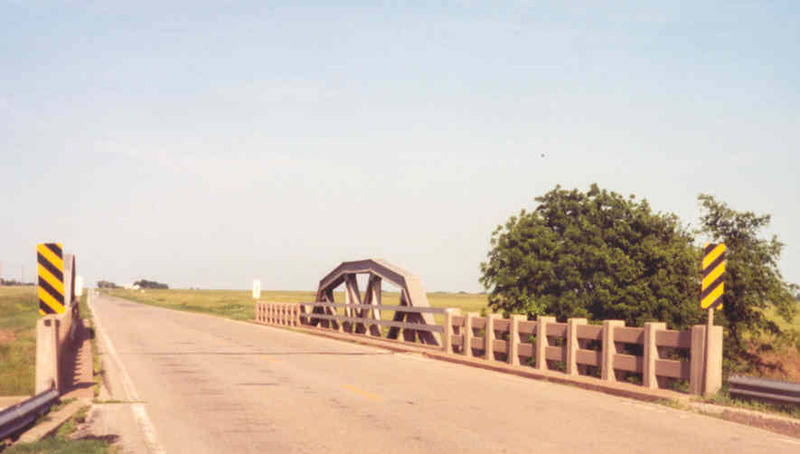 Above, a view looking east thru the bridge. It is rare to see bridges from this era with their original concrete guards in such good shape. Above, this angle view catches the whole structure in one bite. Note the cantilevers on the bridge piers. This suggests the structure was widened in the construction phase. Below, a close-up of the truss from the deck.